DivX is a brand of video codec products. The DivX codec is notable for its ability to compress lengthy video segments into small sizes while maintaining relatively high visual quality. Divx codec may appears in any extension name below: MP4, MKV, AVI and Divx. DivX encoded videos are incompatible with iMovie (iMovie 11 included) although this NLE software is popular, as an entry-level video editor, among nearly all Mac users. iMovie (iMovie 11 included) supports most commonly-used video codecs, including DV, MPEG-2, MPEG-4, H.264, AVCHD and AIC, some, but not all, varieties of MP4. .mov is a container. If it contains one of the above, it will work. .mp4 is a container. If it contains one of the above it will work. .avi is a container. If it contains one of the above, it might work without conversion, but can probably be converted. If you have Final Cut Pro installed on the same machine, you also get access to ProRes 422 etc. DIVX codec video would need to be converted before import to iMovie (iMovie 11 Included). How to Convert DivX to iMovie (iMovie 11 Included)? There are many Video Converter software applications on the market that help you convert DivX to iMovie on Mac. The most popular media transcoder Handbrake also can convert DivX to H.264 MP4 for iMovie (11) on Mac. But recently, more and more feedback has unveiled that Handbrake 1.0.1 crached encoding. 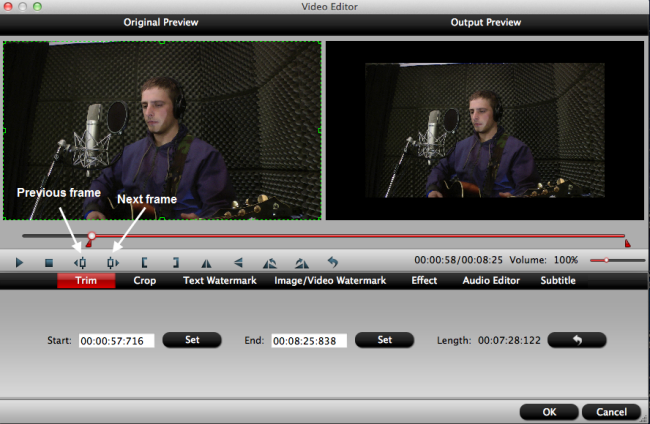 So here we would recommend you another video tool to transcode DivX to iMovie. Pavtube HD Video Converter for Mac is an easy-to-use yet powerful app which can effortlessly encode AVI, XviD, Divx files to MPEG-2, MPEG-4, H.264, ProRes 422 MOV, which ensures best results when working with iMovie (11) on Mac OS X (macOS Sierra included). It outputs the most compatible video for iMovie with MOV extension and AIC codec. The Mac video conversion tool can also create files compatible with other non-linear editing systems like Adobe Premiere Pro, Avid Media Composer, FCP X/6/7, etc. Launch the Divx to iMovie Converter on Mac and click “Add video” button to locate the .Divx file(s) you want to add. Check the “Merge into one file” box, you can join several .Divx clips together if necessary. 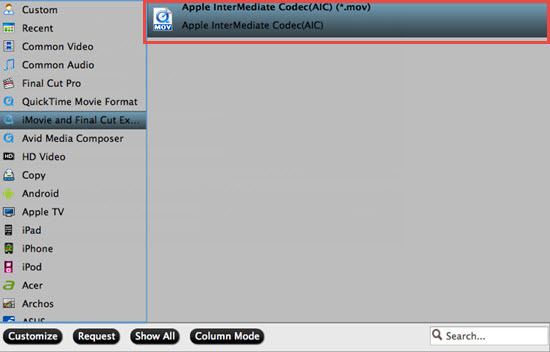 Click “Format” pull down list to select iMovie and Final Cut Express > Apple InterMediate Codec(AIC) (*.mov) as the best video format for iMovie (11). Pavtube HD Video Converter for Mac is also an excellent video editor which allows you do some simple edit on video before output for iMovie. By clicking “Edit” button on the main interface, you can trim, crop the video, or add watermark, adjust effect, attaching subtitles for pre-editing your video files so that you can simplify your iMovie editing. You also can click “Settings” to fix the frame rate, bitrate, video size, etc to your needs. To have a smooth editing with iMovie, you need create the files with the appropriate resolution and frame rate that matches your source footage. Click “Convert” button at the bottom right corner to finish endocing Divx to AIC .mov for iMovie (11) on Mac OS X. After the conversion, click “Open” to locate the encoded videos and then launch iMovie,choose File > Import > Movies…, to import the converted Divx video into iMovie; prepare for editing.